well, I have been trying with the lates ESP8266 1.3.0 SDK but the problem still persists. Sometimes, when the WIFI connection is lost (switching off the router for example), and the WIFI network comes back, the ESP8266 module does not recover, and from that moment on, it will NEVER recover. A network scan does not show the network. And even if you reset the system, the ESP8266 does not recover. 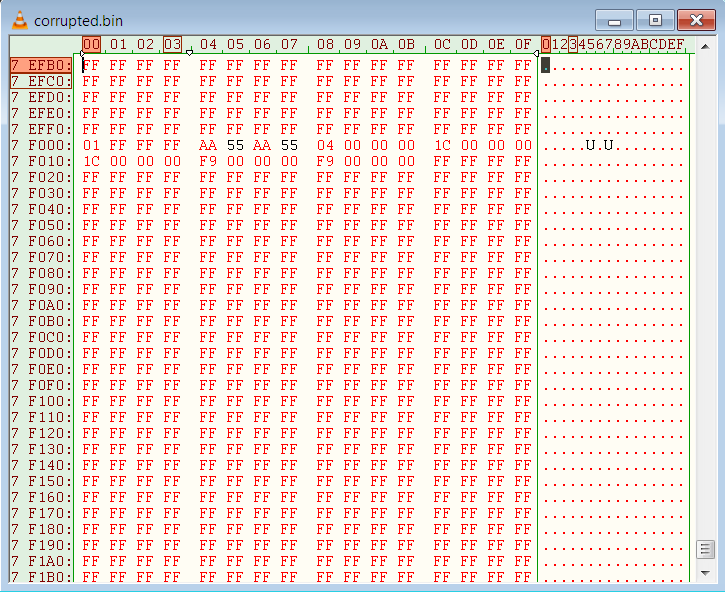 However, if you ERASE the full flash and you flash your program again with esptool.py, the system recovers. The reason is that the internal firmware stores something in the flash that is not correct, and the system cannot recover from that situation without cleaning the sector where this wrong information has been written. And when the system hangs, it recovers after reset always!!! 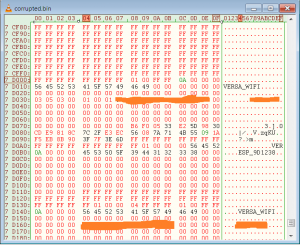 hex "Adress of blob settings in flash (copy 1)"
hex "Adress of blob settings in flash (copy 2)"
But 0x7F000 ???? What is this doing there?? 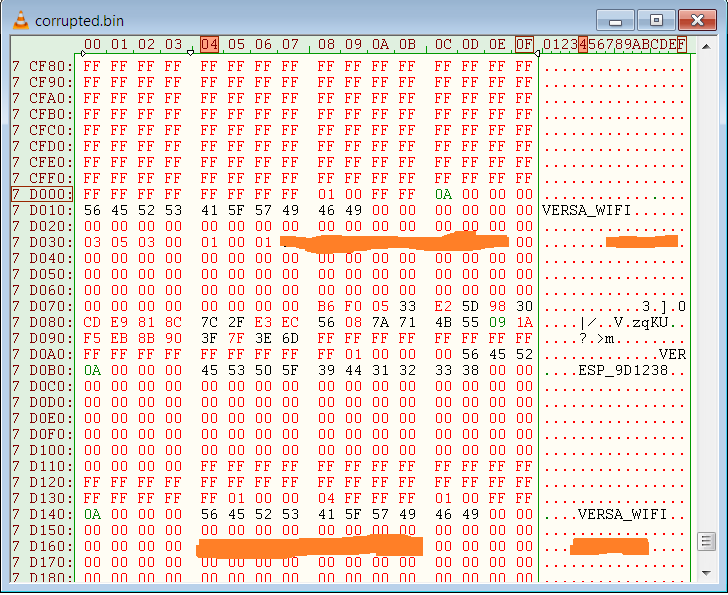 The guys from Espressif shoud have some precautions when the exception handler is called. 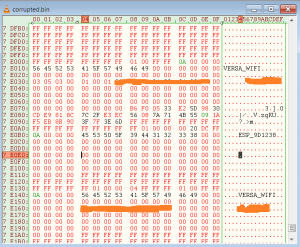 Before sending the chip to reset, all the GPIOs should be placed into HiZ with internal pull-ups, then wait a little bit, and finally go to reset. However they don’t do it, and when the WDT reset comes, if your GPIO0 is down because you own application is forcing it, the system won’t recover, and will stay in flash update forever!!! 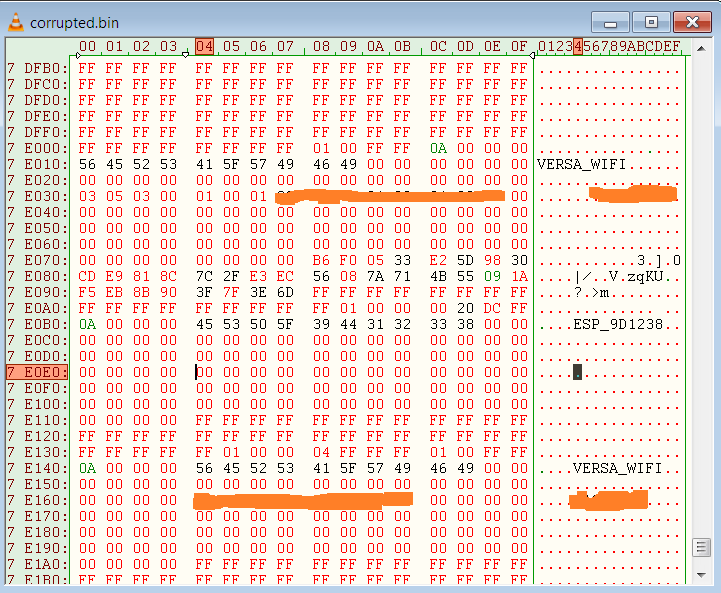 If you have experienced problems while flashing with esptool and other tools (ESP8266Flasher.exe, flash_download_tool_v1.2_150512.exe, etc), this might give you a clue. Depending on which USB to TTL converter you are using, the system might not work correctly. There must be something about buffering or drivers or something in Windows that makes a strong difference whether you are using one converter or another. 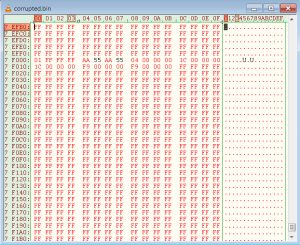 Now find 40245f15 and you will see where the error appears. In this blog I will comment any interesting subjects I find while I am developing with the ESP8266 module.